Use the form below to contact tour Full Day Coastal Tour directly. This full day tour certainly packs a punch! 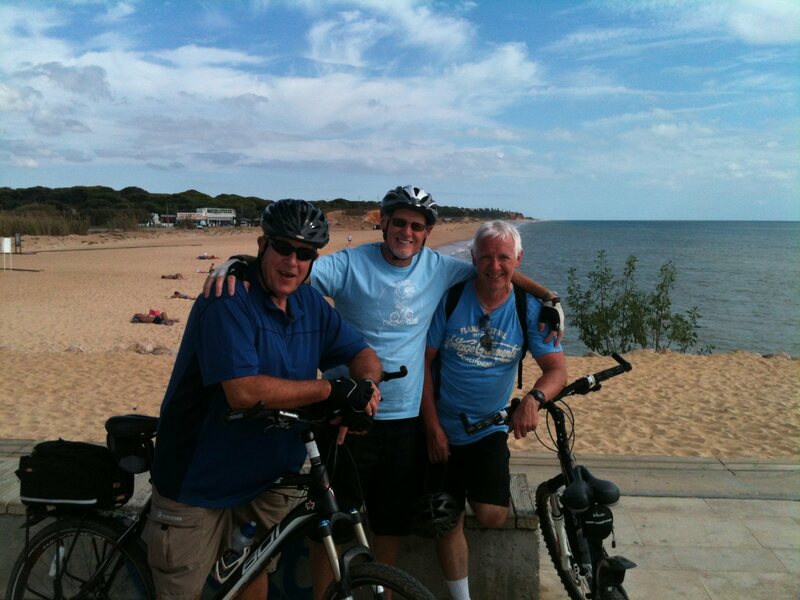 It combines the perfect elements of fun and fulfillment as you cover 105km of the Eastern Algarve Coastal route. 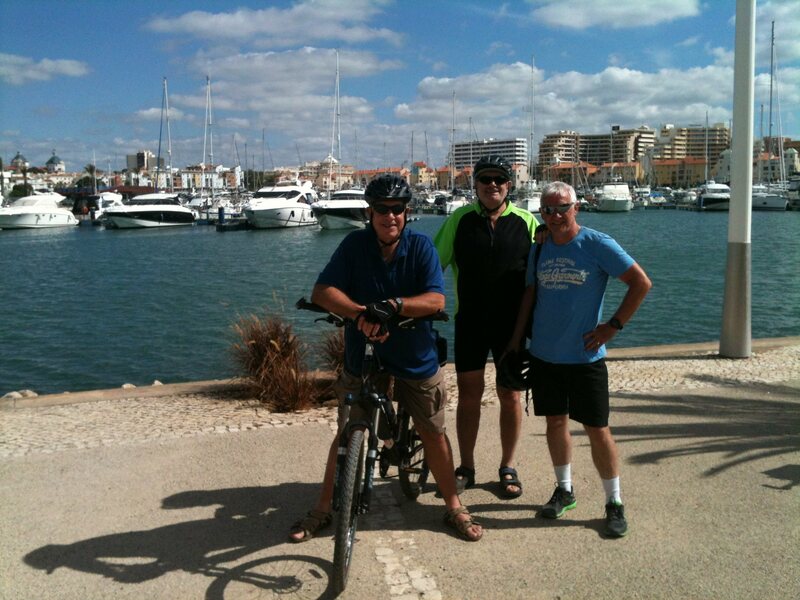 You will be guided by a very experienced local cyclist, who takes a great pride in ensuring you get the most out of the trip, and is keen to share his personal knowledge of the Algarve. This ride certainly requires some effort on your part, as you have some ground to cover. But you will be well rewarded as you enjoy a day of contrasting scenery, fabulous local food and, of course, some great cycling. It’s a packed itinerary so you will need an early start, with a dedicated transfer from your accommodation to the beginning of the tour, Vila Real de Santo António. This is an interesting town on the banks of the Guadiana river, which forms a natural border with Spain. 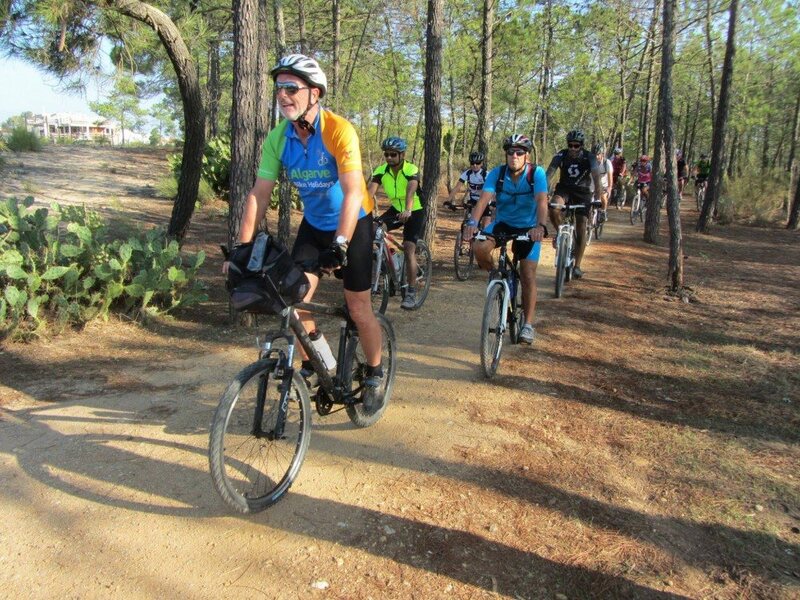 This first part of the tour is a gentle introduction to the Algarve coastal route, with some scenic and mostly flat riding. From the ferry terminal we cycle South along the riverside before turning West and heading towards Monte Gordo, popular throughout the year because of its spectacular beach. 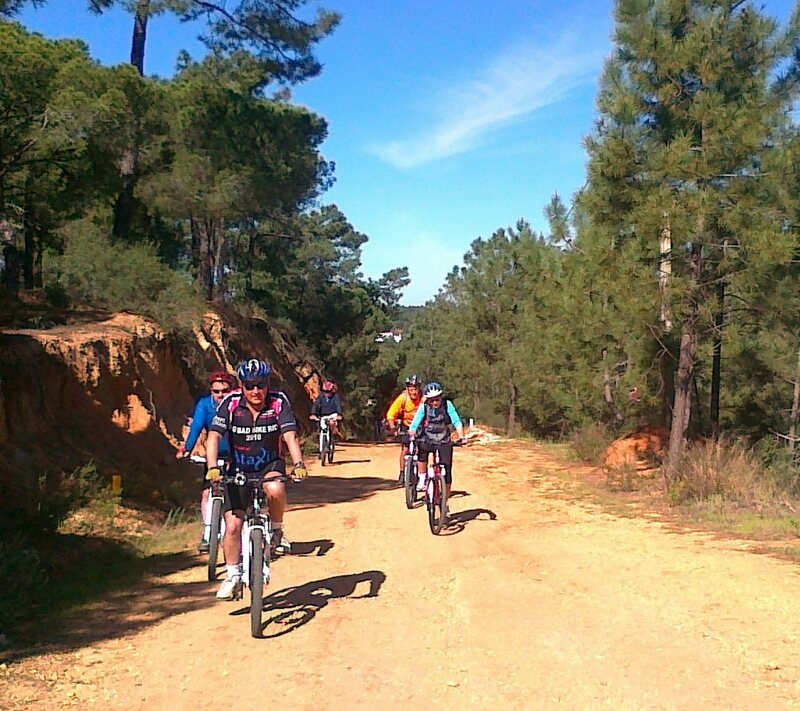 Some pleasant forest trails lead out of Monte Gordo and on to the sleepy resorts of Altura and Mante Rota. Further along the coast we reach the charming Cacela Velha and Fábrica, just a short detour from the main route. Seaside neighbouring hamlets, one set on a hill overlooking the lagoon and one at the water’s edge, they both boast spectacular scenes in their own right. Have your cameras ready. 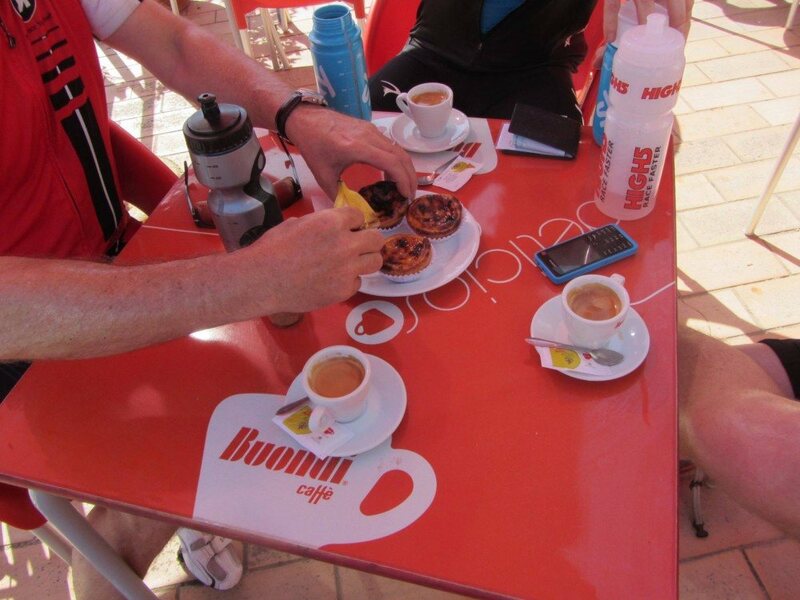 Continuing West, we follow mainly dirt tracks into the small coastal resort of Cabanas, and then on to the outskirts of Tavira, one of the prettiest towns on the Algarve coast, and your first official coffee break. There are many sights of historical interest in Tavira, including the castle, the roman bridge and over 30 churches (some dating back to the 13th century), a handful of which we will glimpse as we cycle through to the perfect spot for our well earned break. After a coffee and a cake (optional! ), we leave Tavira by another dirt track, which keeps us away from the main road. This is a lovely shortcut to the beautiful village of Santa Luzia, famous for its Octopus fishing . We pass through Pedras del Rei, where we may spot the little train that takes sunbathers to the expansive beach of Barril and the old tuna fishing village. 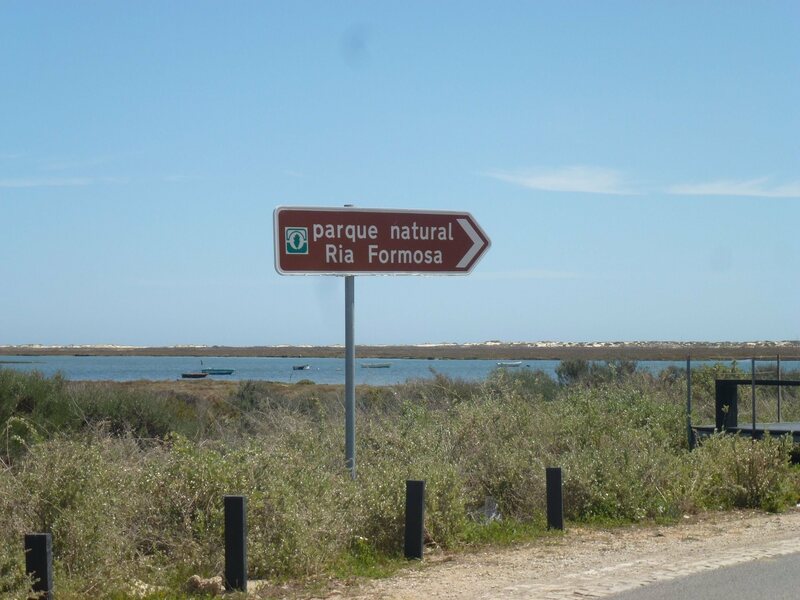 We are now in the heart of the Ria Formosa Natural Park, a UNESCO heritage site situated on low lying coastline amidst a maze of lagoons, channels, salt marshes and islands. It is home to an abundant array of wildlife and over 30,000 birds stop off here on their journey from Europe to East Africa. You can often spot kingfishers, hoopoes, bee-eaters, egrets, blue magpies and many other species. The views across the salt flats, (where salt is still cultivated using traditional methods), are simply breath-taking. It is a gentle, flat ride along the coast and we can enjoy the cooling sea breeze coming from the Atlantic ocean, as we approach Fuseta. (The name comes from the Portuguese Foz, which means mouth – of a river). It is a quaint fishing village, which, with its warmer waters, still has large catches of tuna. Our next stop is Olhão, a hub of the local fishing industry. There are a wealth of tiny cobbled streets to explore and many pavement cafes and restaurants, making this an ideal place for lunch. The fish is caught locally every day and served with great pride by the local ‘restauranteurs’. But the price does not reflect the quality, so don’t be afraid of sampling some of the local specialities. In fact, your biggest challenge is not overeating as you still have a few kms still to go! From the sea front in Olhão we can see Faro in the distance to the West. Whilst it is the capital city of the Algarve, the central area is really quite compact and it’s a pleasant ride through the old town, where we discover cobbled streets, tree-lined squares and even a small cathedral. Another surprise awaits us as we leave Faro. 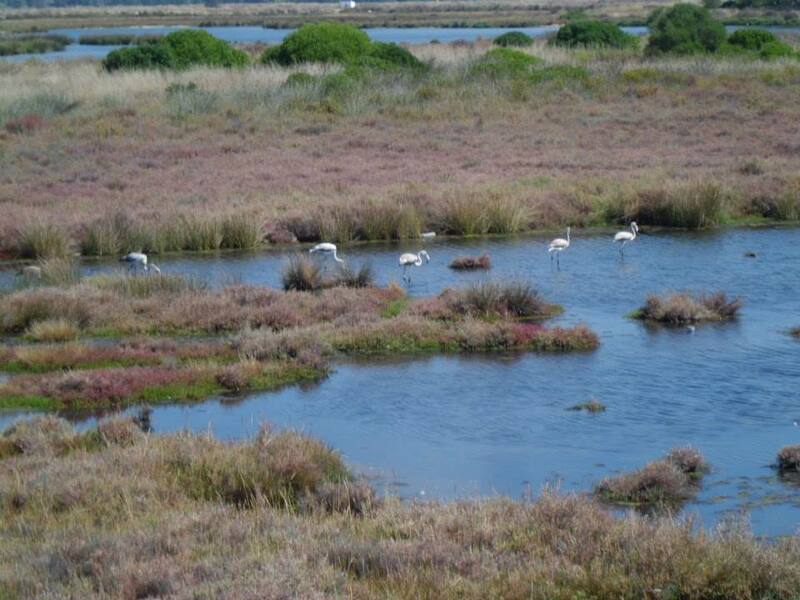 Despite circumventing the airport, we are treated to some pretty spectacular scenery and very often see Flamingos close up. 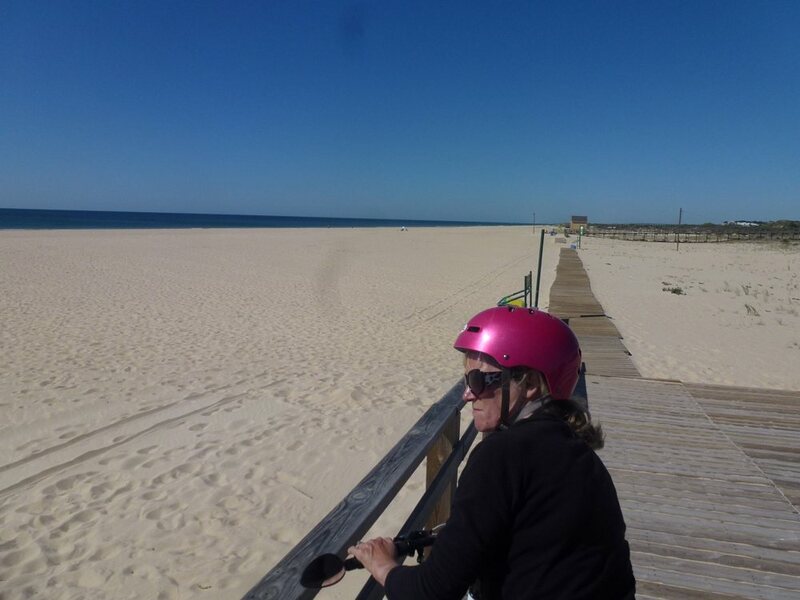 From here we cycle to the exclusive golf resort of Quinta do Lago, with its manicured golf courses amidst the pine forest and luxury houses of almost every architectural style imaginable. As we head further West, we return to the beach, where we ride through a little pine forest along the cliff tops with views over the sand and surf. 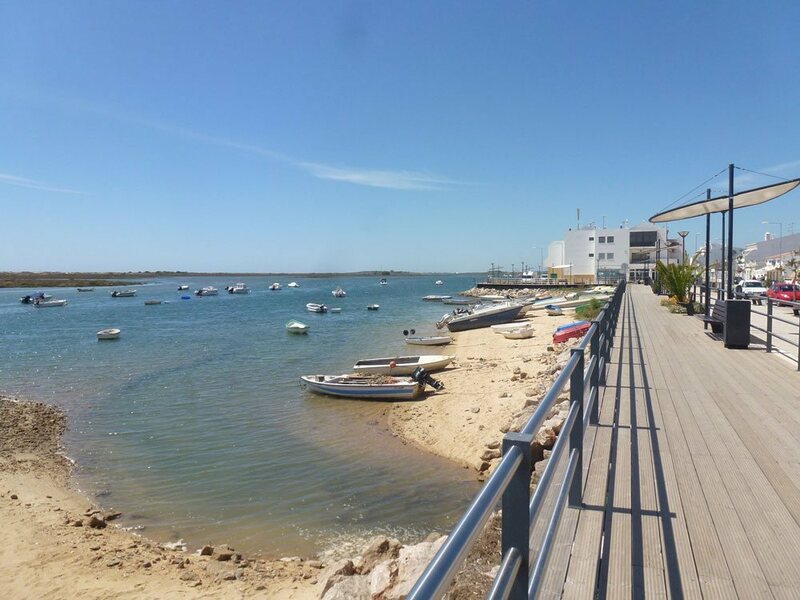 Passing along the sea front of Quarteira, one of the original tourist resorts of the Algarve, we continue to Vilamoura, with its marina full of luxury yachts and a good selection of cafes, bars and restaurants. This is the end of our tour and the perfect spot for a celebratory drink!